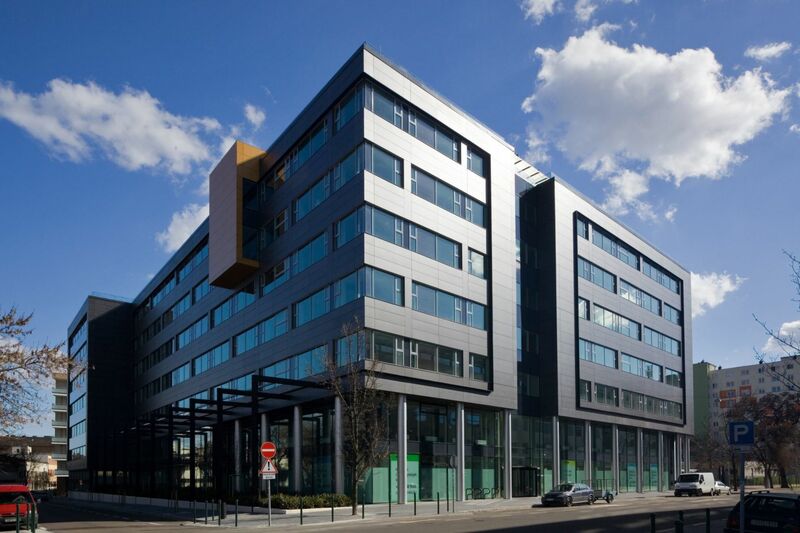 The most environmentally-friendly development on the Hungarian office market, Skanska’s Green House in the heart of Budapest, will be complete in December 2012. 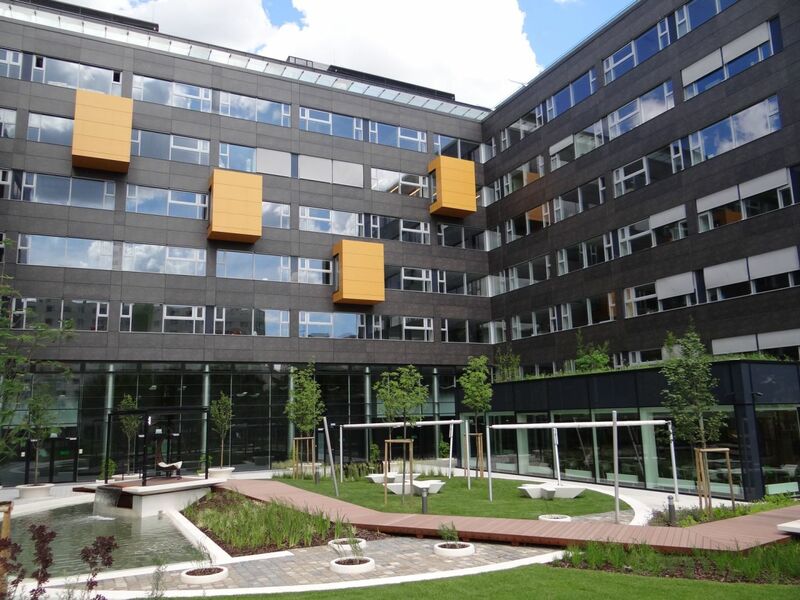 The country’s first LEED Platinum pre-certified building was constructed using Peikko’s connections and DELTABEAM® Composite Beams. The category ‘A’, standalone office development will comprise approximately 20,000 square meters gross built area above ground on seven levels, providing 17,800 square meters gross leasable area and 270 car parking spaces on three underground levels. 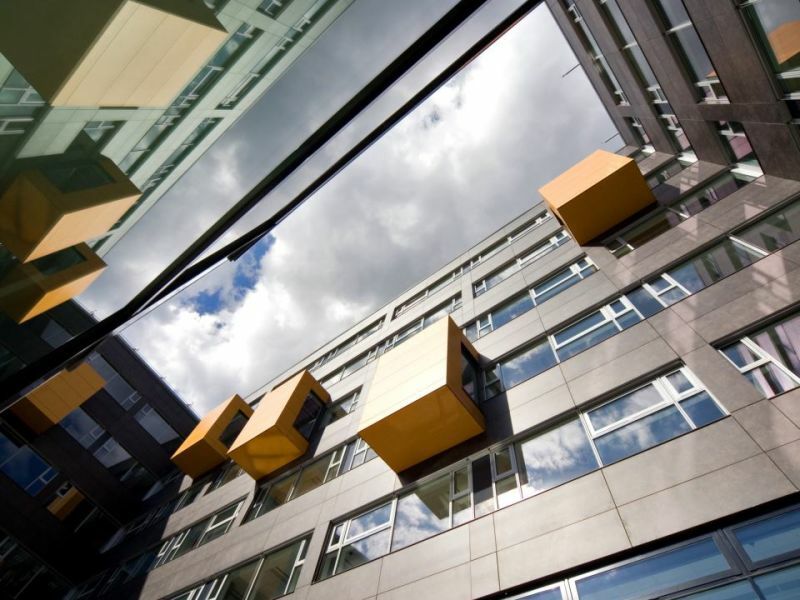 The building’s architectural design is made by WHITE Arkitekter AB and DPi design Kft. 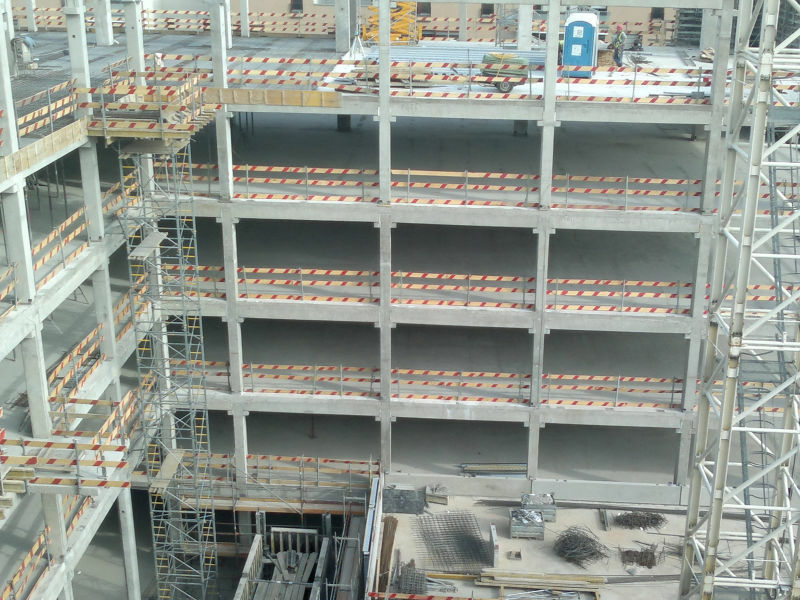 The underground levels were made in-situ with PSB Punching Reinforcement, and the levels above ground with two-storey high precast columns with Peikko connections, with DELTABEAM®s as inner beams and precast beams on the edges of the building. 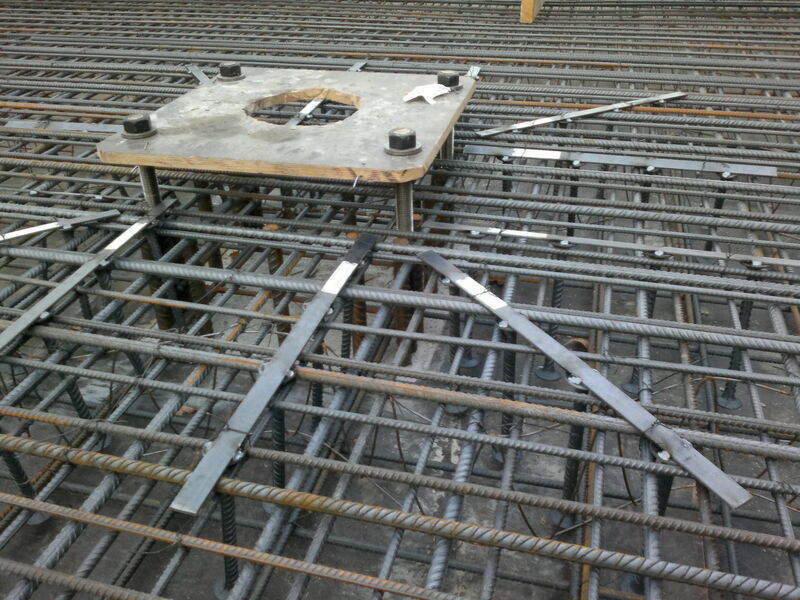 Hollow-core and filigran panels with topping concrete were used to form the slabs. 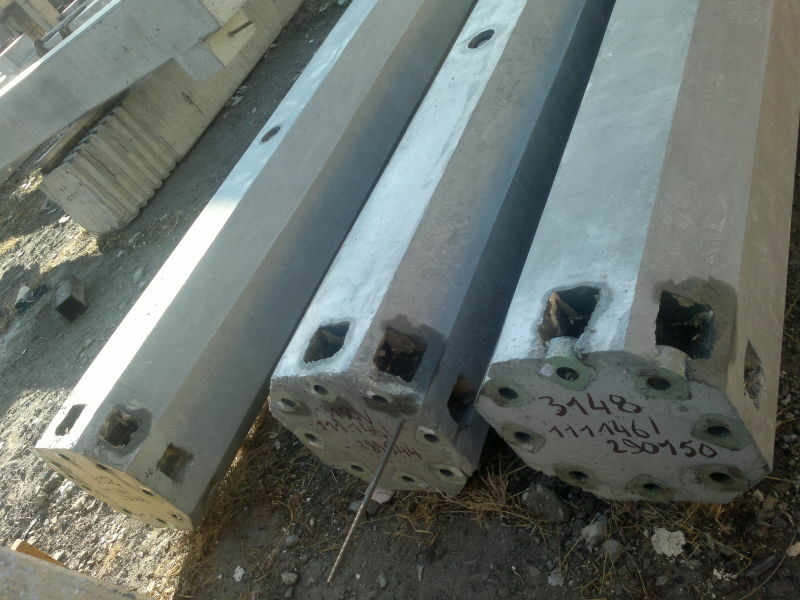 Almost 1 kilometre of DELTABEAM®s were delivered to the site. 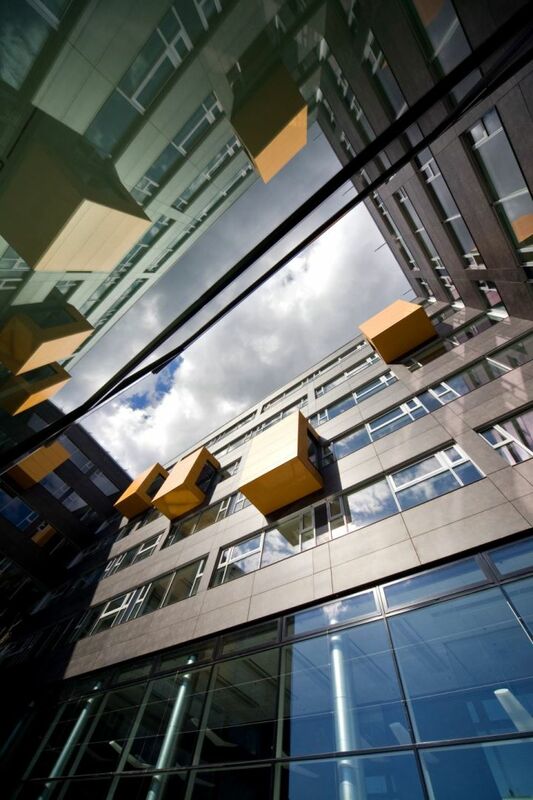 Gábor Pados, Project Manager at Skanska Property Hungary, said the use of DELTABEAM®s and pre-stressed hollow-core slab panels enabled Skanska to create office spaces attractive to potential tenants. 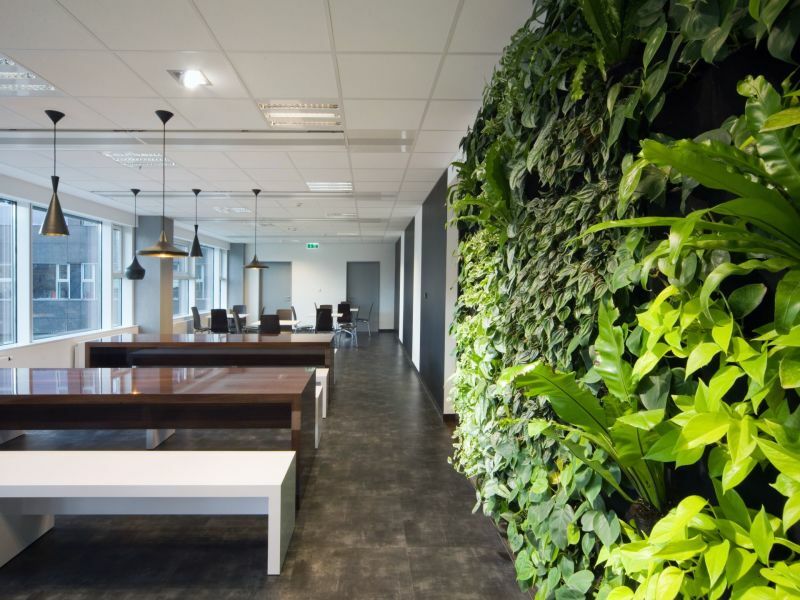 ”An essential element of a successful real estate development is that it creates office spaces that meet current market requirements and can be easily adapted to different needs in the future. 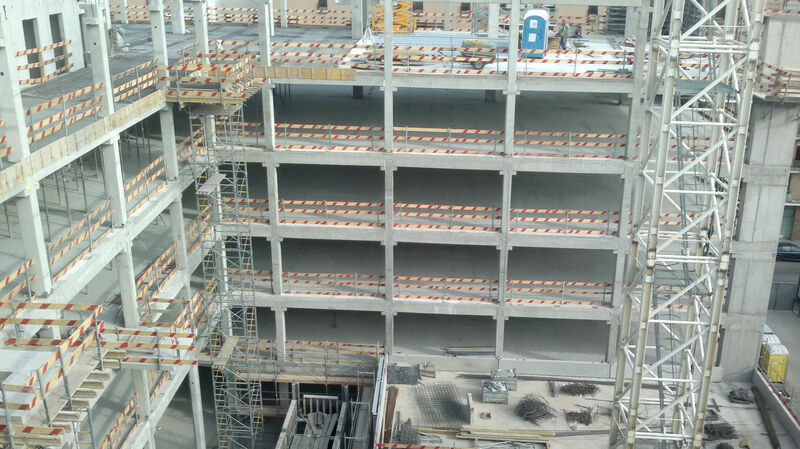 Using DELTABEAM®s and pre-stressed hollow-core slab panels helped us to reach this goal. In Green House there are only thirteen columns on a 2,400 square meters general floor level. This is very attractive for our tenants,” he said. Another reason why Skanska decided to use a precast structure relates to work safety. “This technology reduces the need of human labour force at the construction site, and thus the risk of accidents,” Pados said. László Szántó and Bottyán Pataki, structural designers at EXON2000, the company delivering the structural design of Green House, said Skanska’s requirements of maximal utilization of office space and minimum labour force on the construction site made itnecessary to increase the grid distance of the vertical load bearing structure to exceed what is common in Hungary, and make the horizontal load bearing structure - beam and floor - thickness as low as possible. “These requirements could be best fulfilled with a composite steel beam structure, supported on precast columns stiffened with in-situ cores. Peikko’s column connection solution and DELTABEAM® system generally resulting in flat bottom floor were ideal for this system,” Szántó said. The different solutions together formed a complex system during the design and construction of the building, he added. “Thanks to the Peikko Designer® design software developed by Peikko, and the perfect technical support, the work was efficient,” Pataki said. 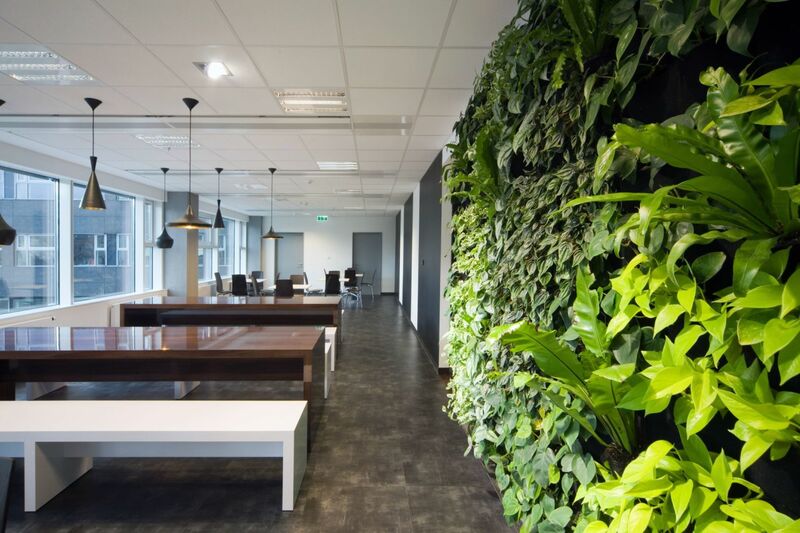 Green House is located in the 13th district of Budapest, parallel to the Váci Road office corridor, bordered by Kassák Lajos, Tüzér and Lőportár Streets and Kassák Park. The building can be easily reached by metro, bus, tram, trolley and car, but the area is also served by multiple bicycle lanes. The neighboring premises offer a wide range of services, but Skanska is planning for additional commercial units – restaurant, café and car wash – in the building to further contribute to an all-around green work experience. The busy and central location of the premises in the heart of Budapest, however, posed a challenge during the construction phase as deliveries had to be assembled promptly. The first PSB delivery from Peikko entered the site in September 2011 and the first DELTABEAM®s in December 2011. 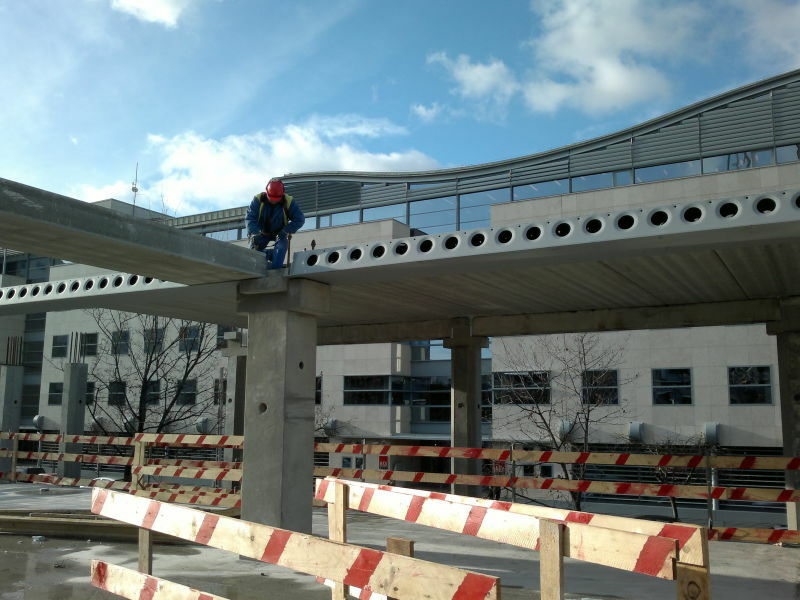 “Peikko’s DELTABEAM®s and column connections ensured fast and accurate assembly on site. With just in time delivery of the structural elements it was possible to minimize storing large volumes on site, which is essential on a scarce urban area,” Pados noted. Norbert Makovínyi, Chief Site Manager at Ferrobeton, agreed on the benefits of DELTABEAM®. Ferrobeton, a major Hungarian precaster manufactured the precast columns, beams and floor panels of Green House and erected the structure. “The low weight of DELTABEAM®s allows storing them in piles without overloading the slabs underneath. 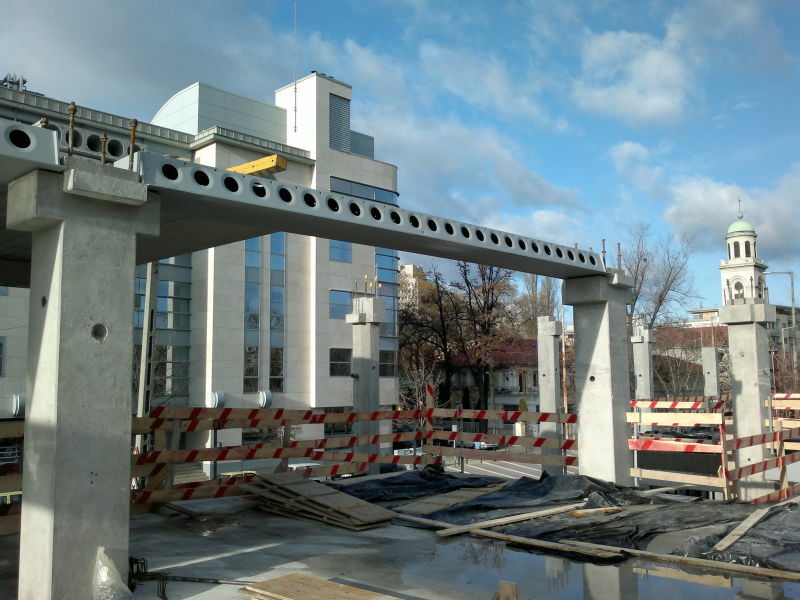 As DELTABEAM®s can be lifted with standard crane hooks, no special equipment was needed,” Makovínyi said. 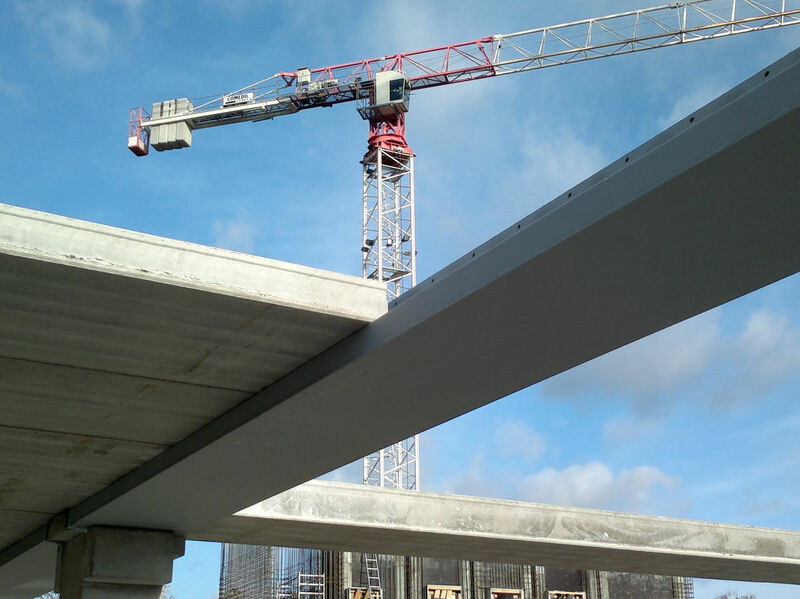 “The weight of DELTABEAM®s to cover a given area is about 20–30 percent of the weight of concrete beams. This also means less transportation, which was especially important at Green House, where transportation had to be planned in detail because of the limited space available,” Makovínyi said and added he was also pleased with the pace of deliveries to the site from Peikko’s factory at Kralova nad Vahom, Slovakia. “Deliveries from Peikko always arrived on time. Quality and dimension accuracy of DELTABEAM®s were always perfect. These were crucial conditions on this project as the tight schedule did not allow for any mistakes,” he said. Thanks to the Peikko Designer® design software developed by Peikko, and the perfect technical support, the work was efficient.